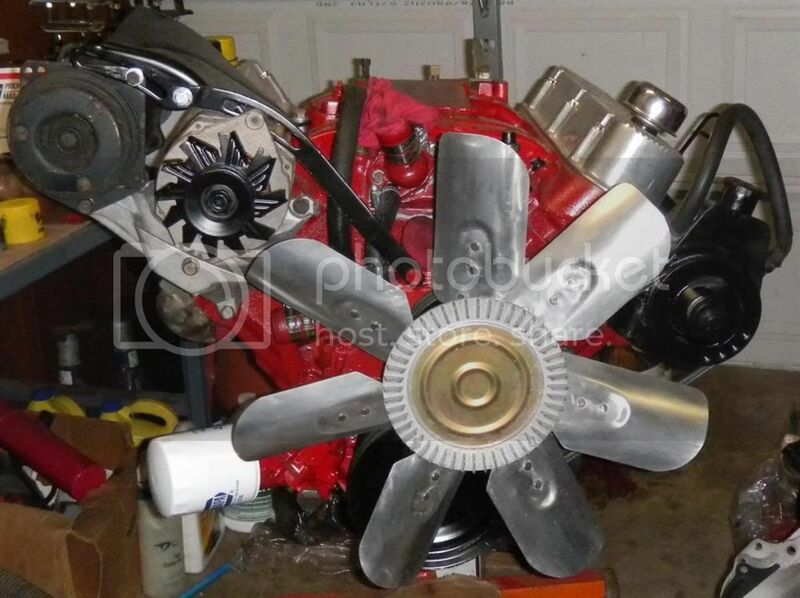 '75 (thick) block, Lunati Voodoo cam, "high" rpm lifters, chrome molly pushrods, bores .030 over, '69 heads taken up to stage 1 valves, oil routing mod for early heads/late valve train, oil pump mod, std. fly wheel, Keene-Bell valve covers, Offy intake manifold, ect. not cheap... but for sale to best reasonable offer. This is listed locally on Craig's List for $2,500 if you want to read more of the details there.